Brand NEW energy-efficient home ready NOW! Amazing front porch perfect for taking in the mountain setting in this gorgeous Glacier home. 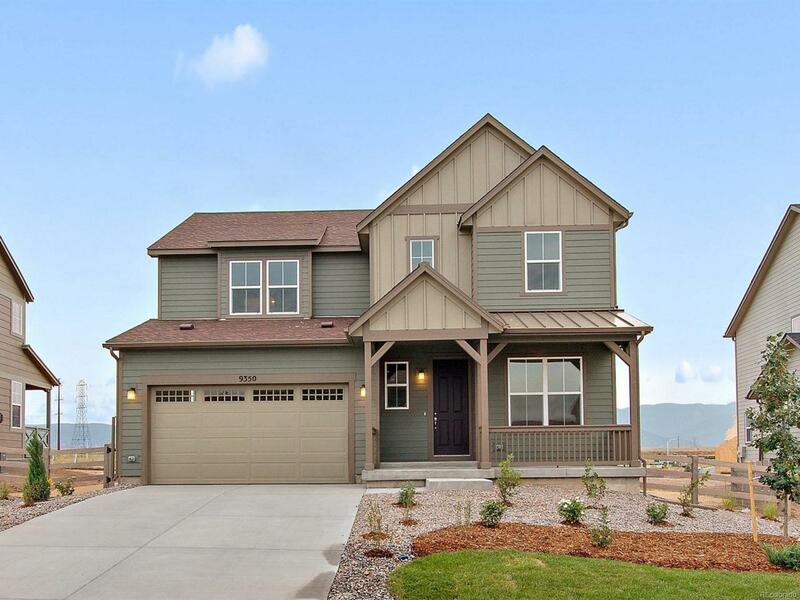 Kitchen includes cotton white granite counter top, Sonoma maple cabinetry, hardwood in foyer, kitchen, and great room, full unfinished basement with 9' walls, 5 piece master bath, and more! Remarkable mixed-use master planned community of authentic Colorado architecture and natural surroundings. 30 miles of planned internal trails! 1-gigabyte of fiber to every home at Sterling Ranch. Every household will receive an Annual Colorado State Park Pass! Trek freely between Chatfield, Roxborough and all Colorado State Parks! Known for their energy-efficient features, our home help you live a healthier and quieter lifestyle while saving thousands on utility bills.